Melbourne always seems to be one step ahead when it comes to its food hot-spots. Home to a number of famous chefs, the city is synonymous with the unique mark it has made on the restaurant industry. From Asian eateries serving up mouth-watering fusion flavours to Tuscan-style steaks and experimental Australian ingredients, Melbourne’s inherently metropolitan scene hosts a number of high-end restaurants that are oh so worth dining in. Consider these three world-class eateries some of the city’s best, worst kept secrets. Dinner by Heston Blumenthal is something else – no, seriously. The eatery is part of the famed London restaurant chain, and we’re a little in love with the Aussie take on its eponymous British origin. Offering an experimental modern menu inspired by recipes dating back to the 13th century, welcome braised radish chicken oysters or feast on venison and bottled cherries. The unique British and Australian heritage combined with views of your renowned chefs at work on your mouth-watering dishes makes for a dining experience that you simply have to try. Have you ever had a little stroll down Flinders Lane, only to stumble across a queue the size of a footie oval? Congratulations, you’ve just found Chin Chin. After opening back in 2011, the South-East Asian eatery quickly became a favourite of Melbourne’s prestigious foodie scene. Serving up an insta-worthy menu of barramundi and green apple salad, massaman curry and more deliciousness, make your way downstairs to the alluring GoGo bar, for a side of exotic cocktails and ‘party vibes’. Expect sheer professionalism, luxury dining and the ultimate level of service. The food? A lust worthy mix of traditional Italian inspired cuisine combined with a contemporary twist. Dine upstairs in Florentino for an experience that’s definitely worth your bank balance taking a bit of a hit. From a diverse wine list to ravioli concocted of yolk, ricotta, amoretti and balsamic, this opulent setting adorned with chandeliers is a venue where the highest level of hospitality triumphs. Now that your taste buds have been sent wild with dishes that have turned your whole Instagram feed into a frenzy, and the fancy wine and exotic cocktails are starting to kick in, we guarantee that you’ll want to continue the festivities. 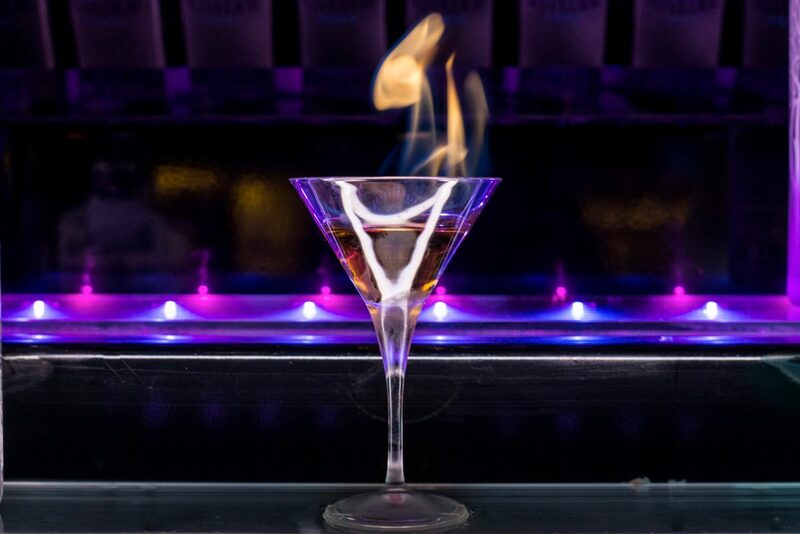 So, after spending the evening dining in the cities most beloved foodie institutions, turn the party up a notch at Bond. With a number of booth and table packages available, we’re here to ensure that you experience a deeper level of intimacy as you party in Melbourne’s most opulent setting. Complete your night (and make it as unforgettable as the papaya salad from Chin Chin), by getting wined and dined by our attentive staff. To request a booth or table at Bond call (03) 9981 9007 or email us at info@bondmelbourne.com.au.